Last Friday (31st August) was the deadline for public comment on the 2018 draft mining charter. According to mining minister Gwede Mantashe, the draft is ‘unlikely to be altered much’ in response to public consultation. Yet the charter itself is unlawful, as are many of its specific provisions. If we start to count the ways in which the draft charter is unlawful, 15 illegal provisions can immediately be espied. Others can no doubt also be discerned. The most telling of these 15 examples are briefly set out below. Let us start with the lawfulness of the document as a whole. 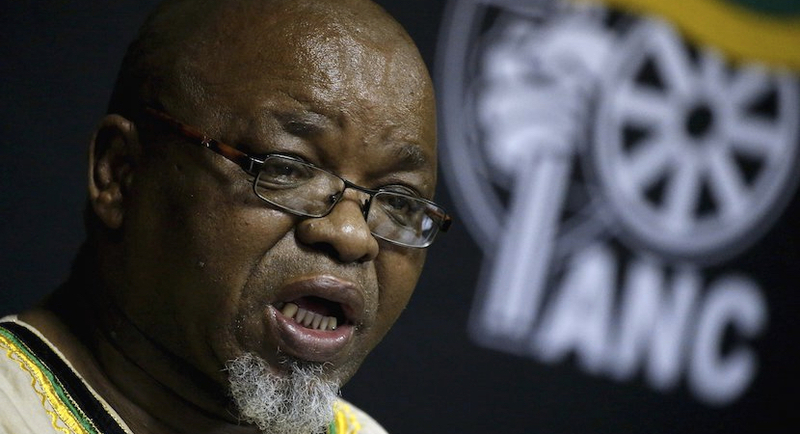 Mr Mantashe’s capacity to gazette and implement the document stems solely from the Mineral and Petroleum Resources Development Act (MPRDA) of 2002, which came into effect in 2004. This is the empowering statute, and its terms must be respected. The key MPRDA provision is Section 100. This empowers the mining minister to ‘develop a broad-based socio-economic empowerment charter’ within six months of the statute coming into operation. This section does not give the minister any power to amend, repeal, or replace this charter. The initial 2004 charter is, of course, the document that was lawfully developed and adopted under Section 100. On the clear wording of this section, the minister has no power to amend this initial charter, let alone repeal and replace it. The 2018 draft charter is thus ultra vires the MPRDA and invalid in its entirety. Under the initial 2004 charter, mining companies were, of course, expected to transfer 26% of their equity or assets to historically disadvantaged South Africans (HDSAs) by the end of 2014. The charter added that ‘the continuing consequences’ of all previous transactions must be taken into account in measuring HDSA ownership, even if HDSA beneficiaries later sold out or otherwise exited from these deals. giving the minister the power to ‘review’ (seemingly, to amend) the 2018 charter by notice in the Government Gazette. Other clauses in the draft charter are equally unlawful. For example, Mr Mantashe sees to impose a levy on the foreign suppliers of mining goods and relevant services, which is to be set at 0.5% of the annual turnover they generate from sales to mining companies in South Africa. The proceeds of this levy are to be transferred to the Mandela Mining Precinct to help fund research. However, this levy is nothing other than a tax, and so can be introduced only via a money bill adopted by Parliament. In addition, the Constitution provides that all tax monies, other than those ‘reasonably excluded by an Act of Parliament’, must be paid into the National Revenue Fund. The minister thus has no legal authority to introduce these provisions. Also unlawful are the draft charter clauses confining foreign suppliers to providing 30% of mining goods and a mere 20% of relevant services – as the remaining 70% and 80%, respectively, will have to be locally purchased. These restrictions are in breach of South Africa’s binding obligations under the General Agreement on Tariffs and Trade (GATT) and the General Agreement on Trade in Services (GATS) of the World Trade Organisation (WTO). Under both the GATT and GATS, member states may not impose quotas of this kind on foreign suppliers, who must be treated ‘no less favourably’ than local ones. Equally unlawful are the draft charter provisions stating that mining companies that fail to maintain 100% compliance with the ownership element for the duration of their mining rights will be regarded as non-compliant with the charter and hence as in breach of the MPRDA. According to the draft charter, these mining companies will then be subject to all the penalties for which the Act provides, ranging from the cancellation of mining rights to fines and prison terms. However, as the Minerals Council South Africa has pointed out, the MPRDA does not give the minister the power to cancel mining rights for a failure to comply with the charter, which is simply ‘a statement of policy’ on how the MPRDA’s objectives may be fulfilled. If the minister is now to be given such powers, this can be done only via an amendment to the Act which must be adopted by Parliament through the usual legislative process. These charter provisions are also inconsistent with a Pretoria high court judgment which was handed down in April 2018, in a case brought by the Minerals Council (then the Chamber of Mines) against the mining minister. This ruling confirmed that a failure to comply with the mining charter does not constitute a punishable breach of the MPRDA. The 2018 draft simply ignores this judgment. The draft charter’s ownership requirements (100% compliance on pain of prison terms and other draconian penalties) are also inconsistent with the BEE generic codes of good practice. Under the generic codes, large companies must achieve 40% of the BEE ownership target (and the same on two other ‘priority elements’), failing which they may be penalised by having their ‘level of BEE contribution’ reduced by one level. The charter’s far more onerous provisions are thus in conflict with the ‘trumping’ clause in the amended Broad-Based Black Economic Empowerment Act of 2003, which says that the generic codes are to take precedence over conflicting sector codes. The government has long seemed indifferent to the economic harm the draft charter will do to a vital but struggling industry, in which some 75% of gold and platinum mines are currently battling to break even. Thus far, the government has seemed equally unconcerned about the illegality of the draft charter. However, the founding provisions of the Constitution require it to uphold the ‘supremacy of the rule of law’. If Mr Mantashe attempts to gazette a new mining charter which is replete with illegal clauses and unlawful in itself, he will be in breach of the Constitution as well as the MPRDA and the other binding rules outlined above. Moreover, what South Africa most needs is not the 2018 charter but rather a new and far more effective approach to empowerment. True transformation will never be achieved by crippling the mining industry through measures that benefit the few, rather than the many. Instead, mining companies should earn empowerment points for capital invested, minerals produced, jobs provided, profits earned, dividends declared, and contributions made to tax revenues, export earnings, and R&D spending. These contributions are by far the most that the mining industry can make in expanding opportunities for the disadvantaged. It is time their great value was recognised and rewarded, rather than disregarded and undermined. Dr Anthea Jeffery, Head of Policy Research at the IRR, a think-tank which promotes political and economic freedom. If you agree with what you have just read, please SMS your name to 32823.